When performing these sick moves, make sure to sneak a look so you can see team-mates, opponents and space. Use your upper body and furthest foot from your opponent to protect the ball when accelerating away, passing or shooting too! Push the ball forward with your left foot, now reach with your right foot and pull the ball back. Spin around to your left, at the same time pull the ball back with your left foot. Now repeat, moving 360 degrees around your space. Push the ball forward with your left foot, reach with your right foot and pull the ball back. Spin around to your left, pulling the ball back with your left foot. Accelerate away with your right foot! Make sure to work both feet equally! 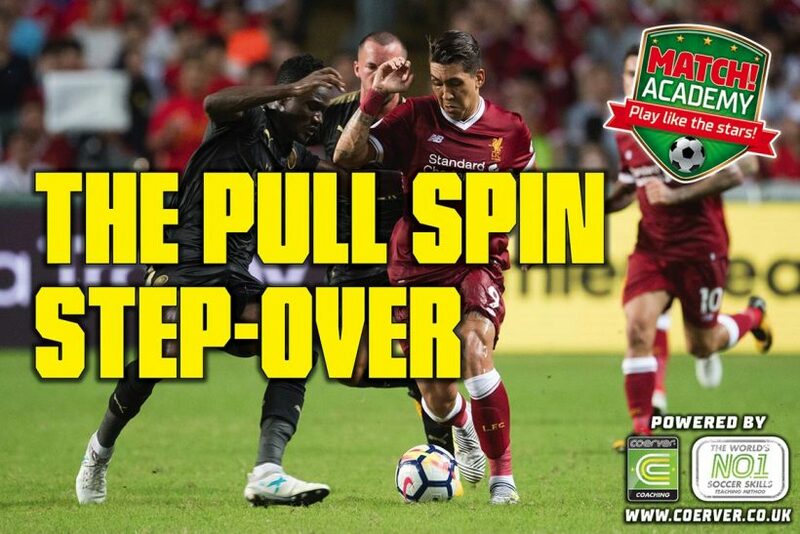 Step-over the ball with your right foot, spin right with the outside of the same foot, accelerate away with your left foot.